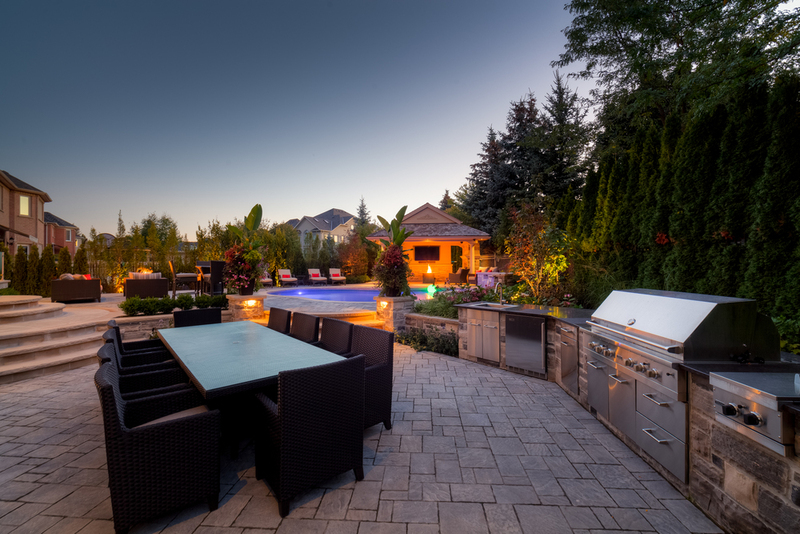 Creating outdoor living spaces and making better use of your yard is becoming increasingly popular. 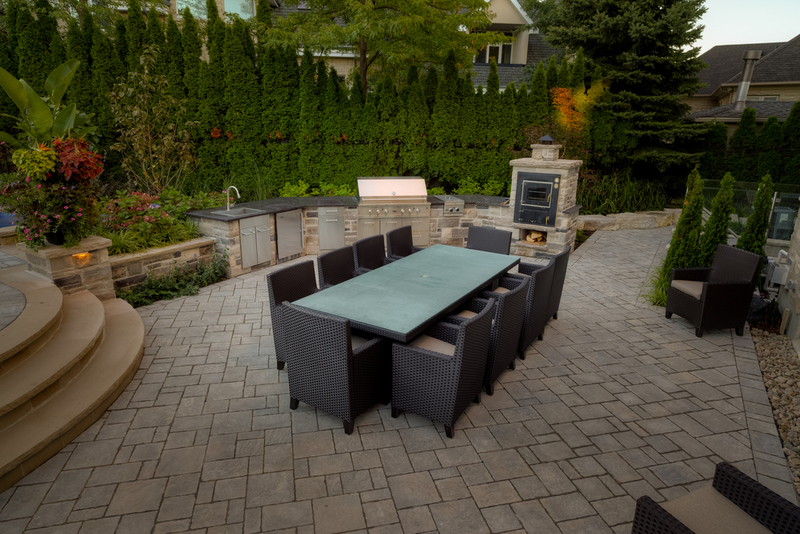 Outdoor living spaces are considered an extension of your home that are functional and aesthetically pleasing. 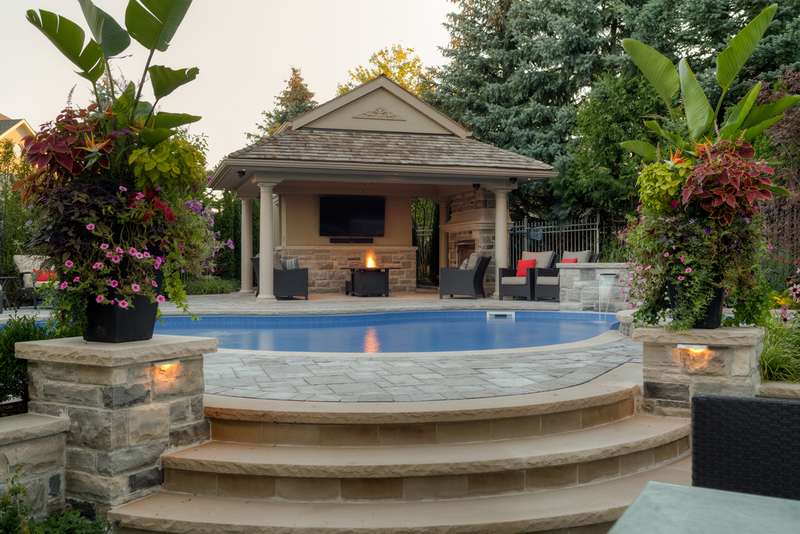 This backyard was seldom used by this family until Darsan Contracting re-designed it and turned it into an entertainer’s dream come true. It was transformed into a series of outdoor rooms that consisted of a cooking area, dining area, pool patio, and three separate sitting / lounging areas. The cooking area on the lower patio has plenty of room for a dining table that seats 10. 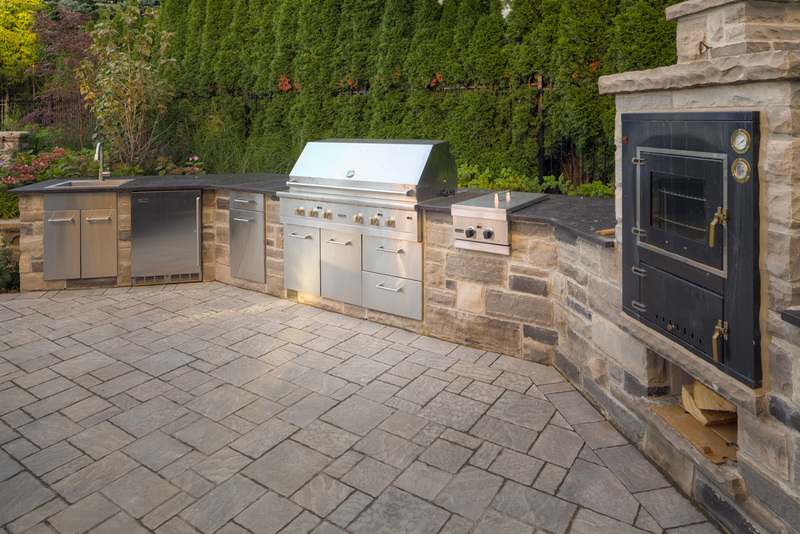 Included was a custom Owen Sound barbeque stone surround, granite counter top, pizza oven, stainless steel sink and fridge. The back corner of the property was originally considered unusable space because of its irregular pie shape. The covered pavilion built there maximized the area and created the main focal point of the back yard. This multi-purpose structure includes an outdoor washroom, shower, change room, and storage area. Attached is an open sided covered area with a fireplace, T.V., and surround sound stereo. 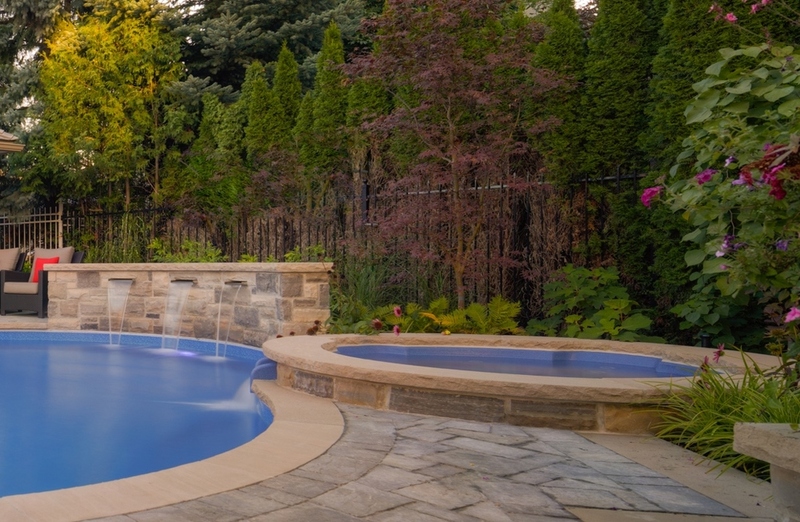 A custom lagoon shape vinyl pool complete with a spill over spa and water feature were veneered with Owen Sound coursing stone and capped with Indiana Limestone coping. Clear glass railing at the upper terrace added elegance to the reconstructed concrete landing and semi-circular steps. A variety of trees and shrubs completed this landscape adding texture, colour and privacy.